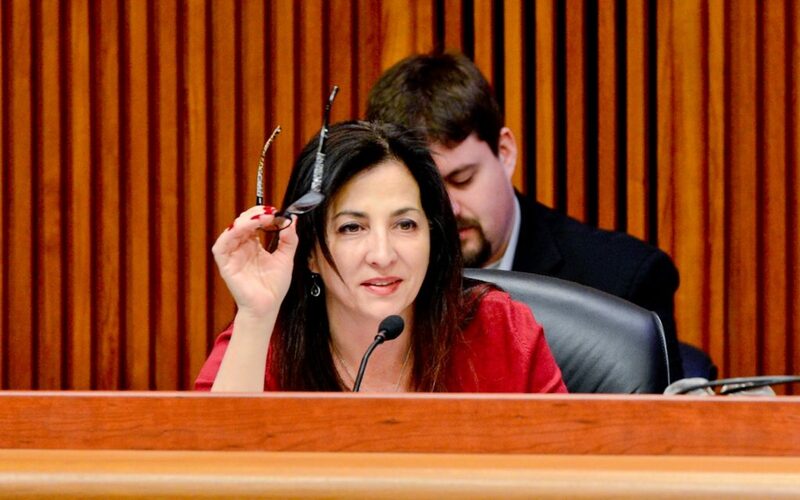 New York State Senator Diane Savino sits down with the Hash’s Max Savage Levenson to discuss the state’s imminent adult-use market, and what that means for racial equity, the state’s huge black market, unregulated CBD, and more. 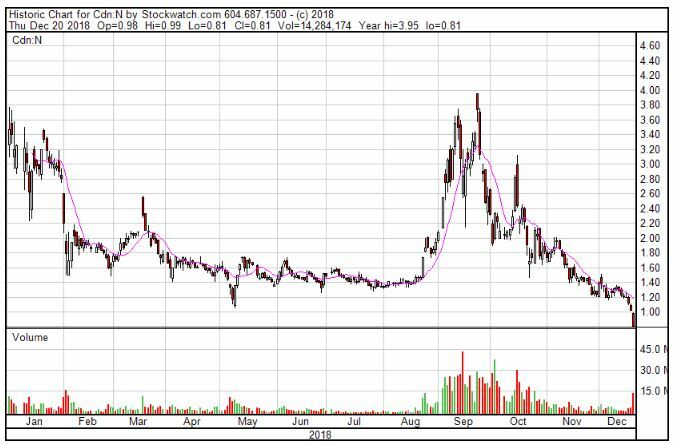 As 2018 was nearing an end, Namaste Technologies (TSXV:N) (OTC: NXTTF) CEO Sean Dollinger unloaded shares, which he reported on December 28th, a week after making the sales. He sold a total of 2.357 million shares that he held directly or indirectly. SOL Global Investments Corp., the cannabis firm that short sellers singled out for allegations of insider self-dealing, is pursuing future investments and wouldn’t rule out doing one with Aphria Inc. Hindenburg Research and Quintessential Capital Management launched a short-selling campaign against Aphria last month, alleging in a report that the Leamington, Ontario-based firm bought assets at inflated prices from SOL, which is closely connected to Aphria via SOL’s chairman and chief investment officer, Andy DeFrancesco. “Mark Ware, chief medical officer for Canopy Growth (which generated $80 million in sales last year), said a new U.K. subsidiary, Spectrum Biomedical, would begin importing and distributing cannabis to pharmacies at the request of physicians in the first half of 2019,” The Telegraph reports. 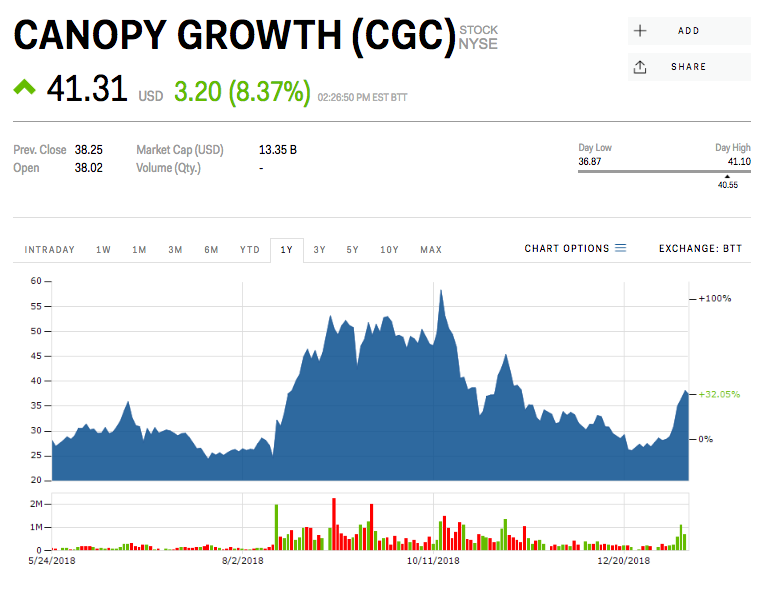 Cannabis firm Tilray Inc. is adding a third company to its growing roster of global partnerships, announcing a revenue-sharing agreement with Authentic Brands Group LLC, owner of more than 50 brands ranging from Nine West shoes to Prince tennis gear. 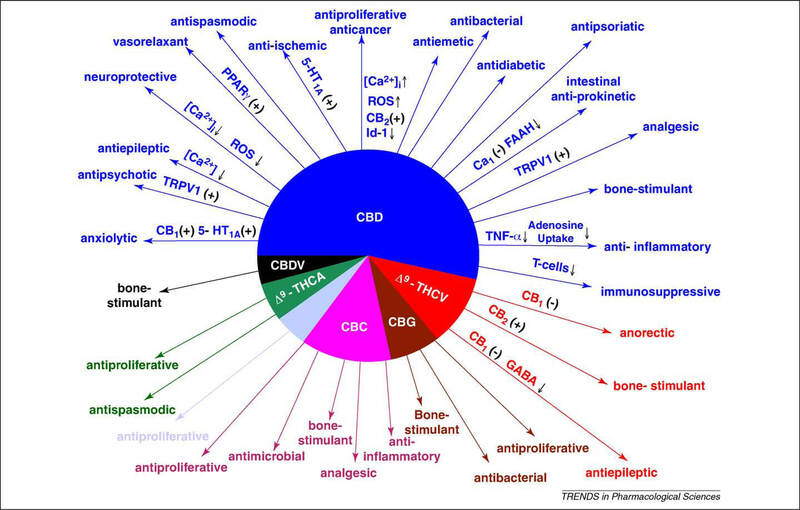 The deal will see ABG market and distribute cannabis products supplied by Tilray with a particular focus on cannabidiol, or CBD, in the U.S. Nanaimo, British Columbia-based Tilray will pay an initial $100 million to ABG and a further $250 million in cash and stock subject to the achievement of certain commercial and regulatory milestones. Join them in Portland, Oregon for a city-wide series of events and conference at Revolution Hall. The event culminates in an epic awards ceremony celebrating winning chemovars in categories from terpene diversity to overall dependability, best hemp to best Type 2 flower, and Oregon’s Regenerative Cannabis Farm Award. Tickets on sale Early 2019!